At this point, most of all of our deadlines have passed for Spoonflower orders to be received prior to December 24th, 2013. If you have questions, please don't hesitate to contact our support team. The deadline to order Welcome Packs for guaranteed arrival by December 24th has also passed, but remember that we also offer gift certificates that can be delivered any time! We know that for many of you, getting presents to loved ones by Christmas is important. 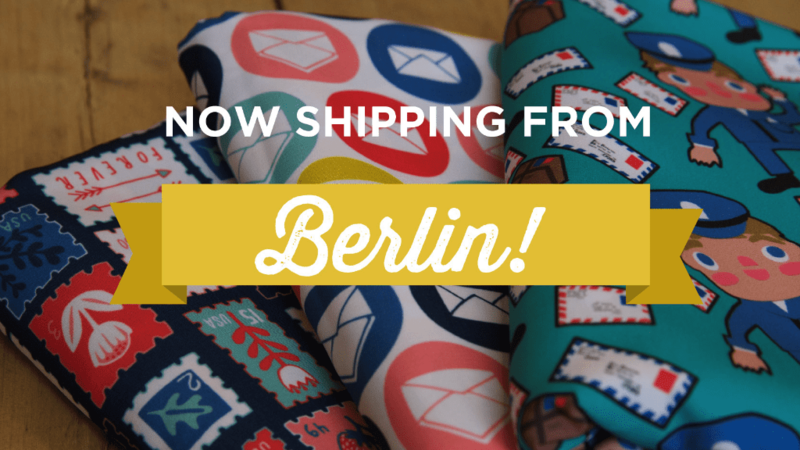 To make sure that anything you order from Spoonflower for delivery before December 25th arrives in time, we've put together a table with our holiday ordering cut-offs for each of our shipping options, standard, guaranteed delivery, and rush. Here are our 2012 Christmas ordering deadlines. Orders placed using the listed shipping methods by these dates are expected to arrive before December 25, 2012. Important Note: The last day our special, limited-edition gift wrap will be available will be December 20th! Get a jump on your holiday shopping! Once again this year Spoonflower plans to offer free standard shipping on all domestic AND international orders (of any size) for 24 hours. Please note that in the case of US orders, anything ordered using standard shipping should arrive well before December 25th. 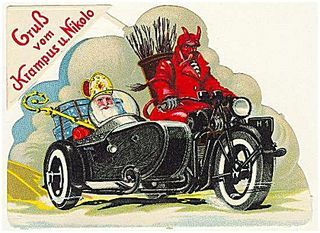 In the case of International orders using the free shipping promotion, however, we cannot guarantee delivery by Christmas (although we will do our best). Those of you with an absolute deadline will do best to order using the guaranteed or rush delivery options (neither of them eligible for the free shipping promotion). Our current turnaround for shipping fabric is about 7 days. Domestic US: Deadline passed. Orders placed prior to Wednesday, 12/15, should arrive before 12/25. International: Deadline passed. Orders placed before Monday, 12/13, should arrive before 12/25. 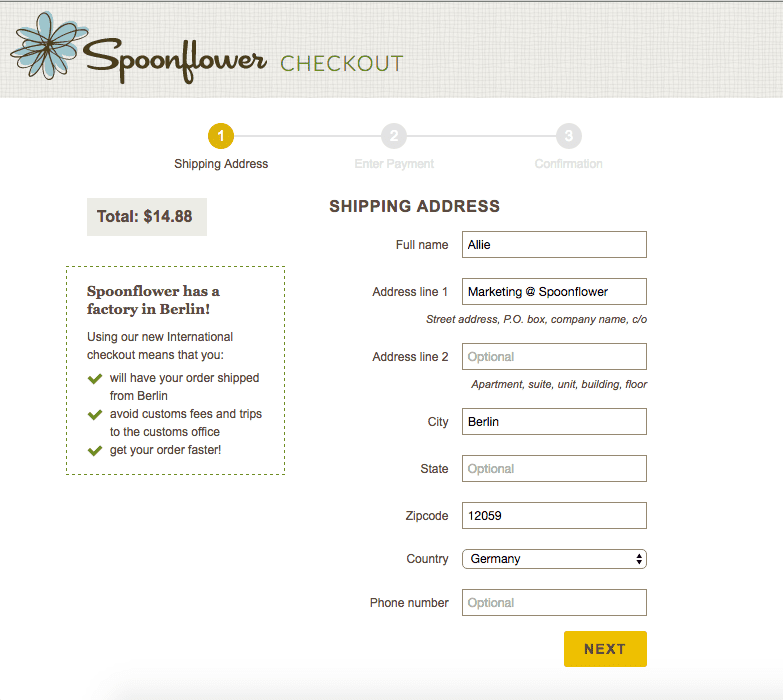 Free Shipping Monday Is Here: For the next 24 hours get free shipping on all Spoonflower orders! 1. If you had an existing shopping cart with fabric in it before 8am on Monday, in order to get free shipping you will need to refresh the cart total page before going on to the payment page. The shipping total should show $0.00 before you pay. 2. Fixed this one. 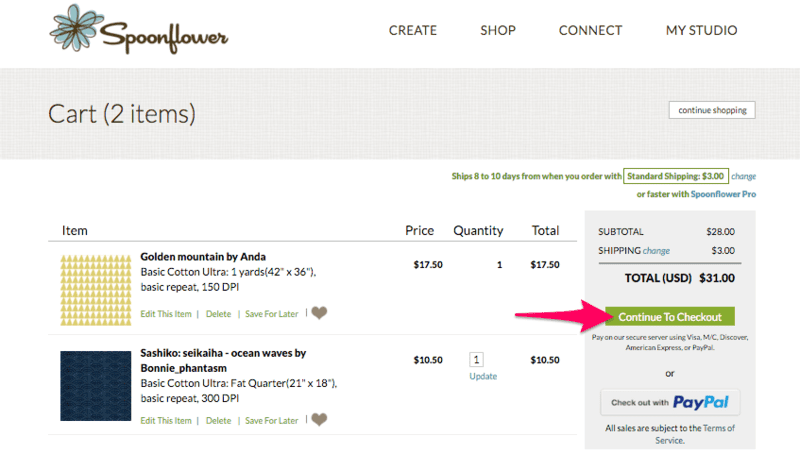 As of 8am, more than 5 yards of a single fabric in a cart is not getting free shipping. We are working on this! Any single design 5 yards and under is getting free shipping. 3. This one is now fixed. As of 9:30 am our RUSH shipping option seems to have vanished. We're working on bringing it back now. 4. Fixed. Turns out that free shipping is not coming up for collections. Working on it.